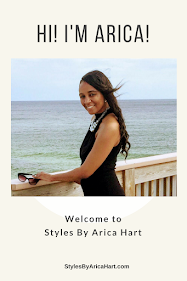 Stress and hair loss / image by "styles by Arica Hart"
Have you ever wondered why your hair began to shed excessively, leaving noticeable breakage spots? you once had healthy, beautiful hair that would make men go into a trance when you entered the room, The whispers would began, "who is that foxy mama?" Come on, you remember those days! At one time, you could get almost any style you wished for, but now things have changed. 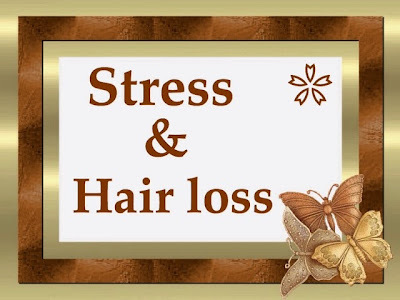 There could be a number of reasons; such as, stress, over processing, heat damage, medicines, sickness, hormonal changes, or nutritional factors that may contribute to excessive hair loss. Today we will talk about the stress factor and Steps to growing healthy hair. We all go through some types of stress at one point or another in our life. The stress of everyday life. You know we have to get the kids ready for school, get ourselves ready for work, cook, help with homework & after school activities; meanwhile, trying to stay looking like a super model for our mate. Some of us may even be in school ourselves. Well, we need to take time out of our busy schedules to relax so that we will not harm our health or beauty. Stress can cause the hair to go into the resting stage earlier than normal. That may cause excessive shedding of hair. The kicker is when a person start to have hair loss, it may stress them out more causing more breakage. Ladies, I know we have a lot to do, but we must take care of our stress levels. Have you ever seen someone going through a lot of mess and their hair began falling out? They may even loose or gain weight. 2- Trichotilomania - this is when stress causes a person to to tug and pull out their hair unconsciously. 3- Alopecia Areata – when a person losses clumps of hair because their immune system is working against the hair follicles. The immune system can be weakened by stress. 3- don't hold your feeling inside- talk to people you can confide in. If there is no one you trust at that time with your problem, then get your feeling out in a journal. Last but not least, you can talk to GOD if he is a part of your belief system like he is in my life. 5- forgive others- it's releases the negative energy that can be slowly causing your body damage. forgiving someone doesn't mean let them take advantage of you, but loving yourself enough not to wear your body down with hate. 6- talk to a trained person about some coping skills to deal with your particular stress. Therefore, make sure to try an eliminate stress in your life and keep your hair looking like you just walked off the cover of a magazine. Here are some ways How yoga can help your hair/ blood circulation, and stress. Have a blessed and enjoyable day !! This is so amazing blog. Thanks for sharing the blog.